New Year’s Eve is just around the corner and they want their members to celebrate the winter season with some amazing prizes. 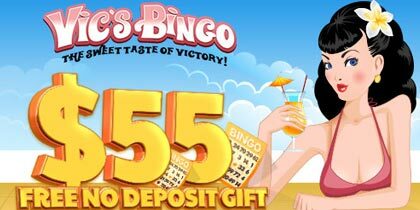 Here’s what to expect from Bingo Hall this December. 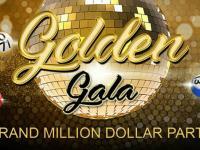 The Grand Million Dollar Party is an event which features pots going up to $100,000 per game. Taking place on December 31st, the warm up starts at 8 PM EST with an hour of FREE games. 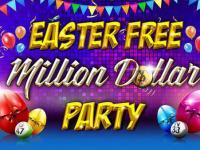 Then, the party continues in several sessions with winnings reaching up to $5,000, from 9 PM to 3 AM EST. Members can win a Ford Fiesta at the Christmas Car Fiesta between December 1st and December 26th. They must deposit and play their favorite games. 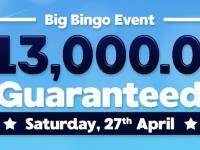 Every $1 they wager on bingo games returns 1 tournament point. 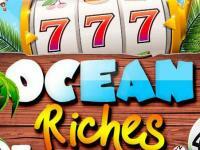 Every $10 they wager on slots games bring 1 tournament point. The top 3 players of each day go to the grand championship, taking place on December 26th. Qualified players must join the Fair and Square Room from 5PM to 9PM EST. The member with most wins gets the car! New Year’s Eve Gangsters Party–December 28th to January 3rd. 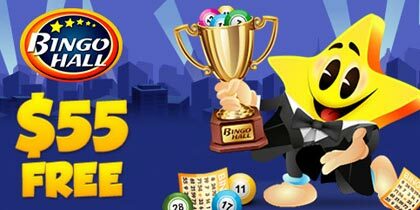 They can join the High 5 Christmas Bingo from December 7th to December 13th, and play 2 hours of special games with HUGE prizes on every 5th call. From December 14thtoDecember 20th, they can enter the Winter Need for Speed Tournament and win up to $7,500. 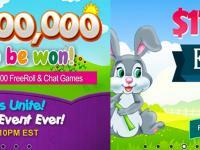 Taking place from December 21st to December 28th, the Santa’s Sleigh Ride has prizes reaching up to $600. Between December 28thandJanuary 3rd, members can get up to $1,000 in the 2016 New Year’s Morning Madness. This December, Bingo Hall brings a different kind of charity event. They have donated money to a cause started by their loyal player Twinkee. Bingo Hall also encourages their members to donate to the Facebook group Santa’s Elves that helps kids to have better winter holidays. Each day in December, 31 Days of Christmas gives players a new gift – the bonuses reach up to $2,000! All members have to do is open the box they get every day, after they deposit.